ShopPal: A journey to end world poverty! Interested in finding out more about how we can help your organization? You just want to give us some feedback? Fill out the form below and we will respond rapidly if your request requires an answer. 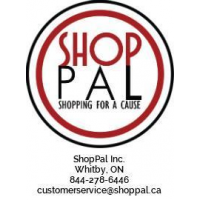 ShopPal's mission is to provide unique products that offer unparalleled value to the consumer while maintaining a continuous source of funding for charities and non-profits. Copyright © 2019, Shoppal Inc, All Rights Reserved.